Bloodborne’s level design is a strange mix of hub world with interlinked areas. Like Demon’s Souls, most of it is built around unlocking short cuts, something that made making a complete map a bit tricky. But a Reddit user has done it and it’s rather impressive. Reddit user Hypnotyks has completed his high resolution world map of Yharnam and the Nightmares. They are in various forms in these images – with or without lanterns, printer friendly, etc. Check them out here. I don’t find the level design to be that convoluted. Sure, the first run through of an area can feel utterly confusing, but soon you get a feel for where to go and it’s healthy to learn how to keep a map and sense of direction in your head, right? 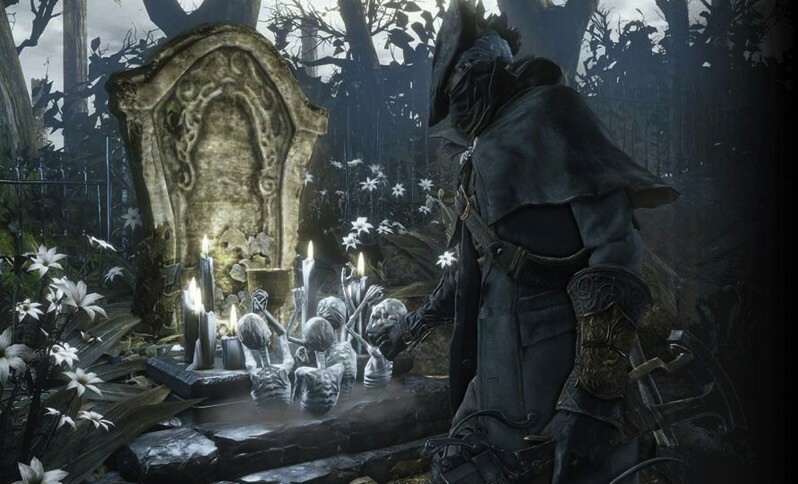 Still, for those with no sense of direction who are wandering through Yharnam utterly confused, this can be a big help. Even more so for those who struggle to discover short cuts and lanterns. This is something of a lost skill among gamers. I remember years ago making my own maps of dungeons in games. It was helpful to keep track of where was best to grind for gold or which hallway should be avoided at all costs. It feels like that’s become something of a lost art now as almost every game comes with a mini-map and world map, plus the internet is filled with maps and walkthroughs. Then again, I suppose I can’t really complain – some of my most prized possessions are cloth maps from Collector’s Editions of games.